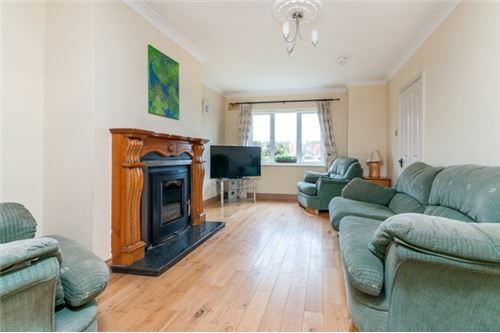 New to the market with Tony Donnelly of RE/MAX Partners, is this spacious 3 bedroom semi detached family home. 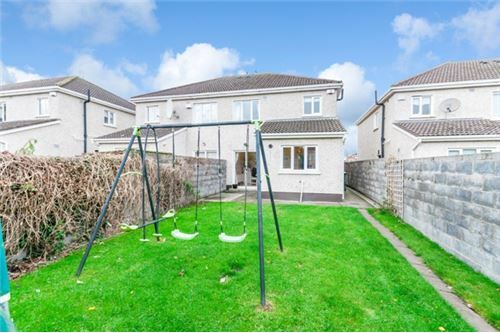 Overlooking a large green area to the front this superb 3 bed semi detached family home comes to market in excellent condition throughout. 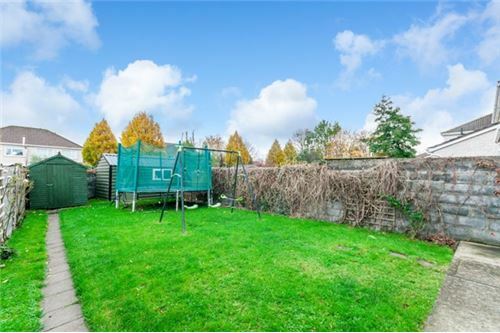 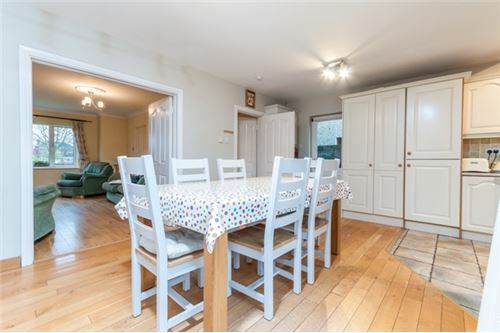 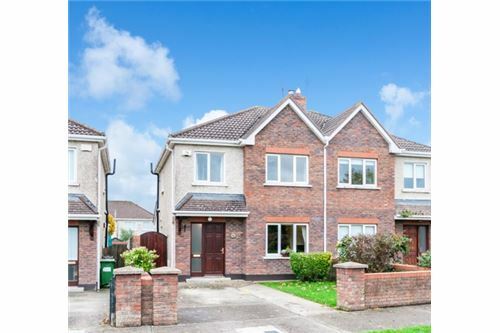 Located in the very popular estate of Glen Easton and within walking distance of all local amenities, Leixlip village, Intel, Hewlett Packard, Louisa Bridge train station and two minutes drive from the N4 interchange. 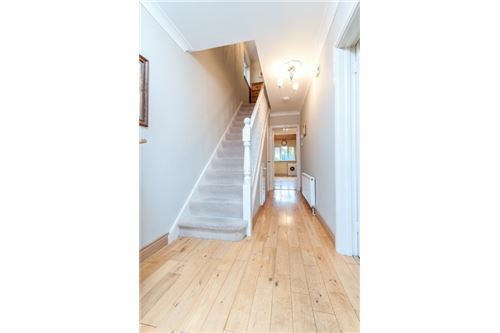 Accommodation comprises of entrance hall, sitting room, large bright & spacious open plan kitchen & dining area and guest WC. 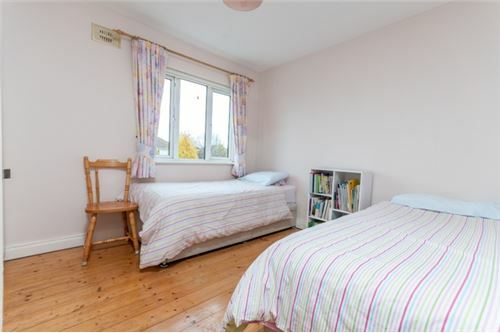 Upstairs has three bedrooms all with built in wardrobes (master ensuite) and family bathroom. 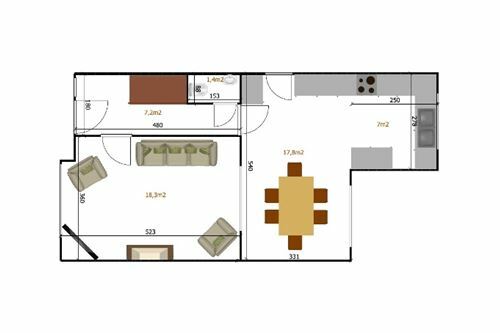 SQUARE FOOTAGE: c. 1150 sq. 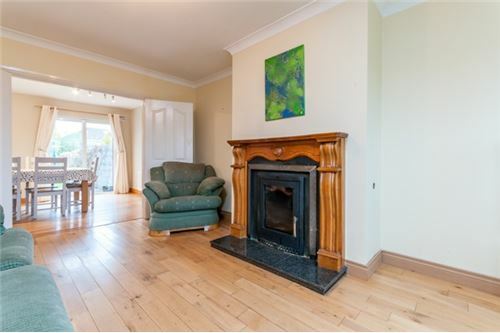 ft.
c. 15’6” x 5’9”	Coving, light fitting, downstairs storage, phone point.
. 15’6” x 11’6”	Coving, centre rose, light fitting, solid oak feature fireplace with Inset solid fuel stove and polished hearth, curtains, blinds, wooden floor, TV point, phone point, double doors leading to dining area/garden area. 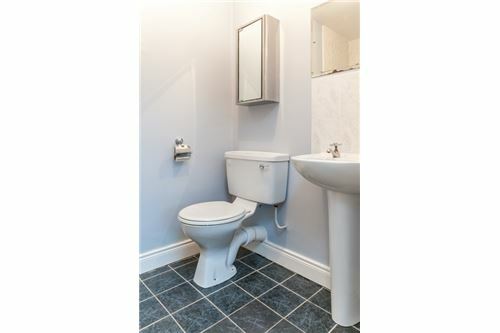 c. 5’6” x 2’6” Light fitting, extractor fan, WC, WHB. 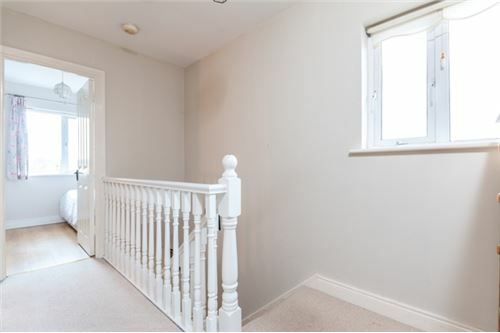 c. 12’0” x 9’6”	Coving, light fitting, recessed lighting, attic access. 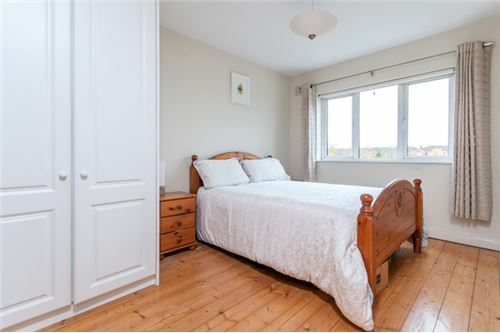 c. 13’0” x 9’0”	Light fitting, fitted wardrobes, blind, curtains, wooden floor, TV point, phone point. 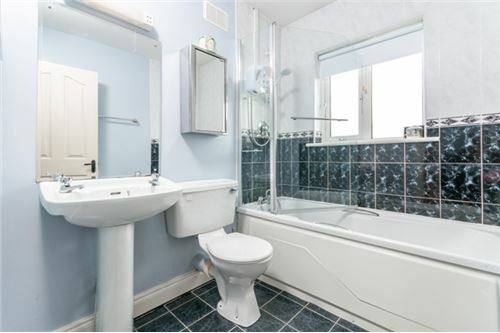 c. 8’0” x 4’6” Light fitting, extractor fan, shaving light with socket, floor tiling, wall tiling, tiled around sink area, tiled around shower area, shower cubicle with Triton T90 shower, WC, WHB. 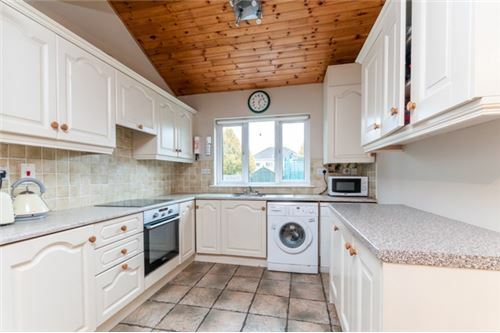 c. 11’6” x 10’6”	Coving, light fitting, fitted wardrobes, blind, curtains, wooden floor, TV point, phone point. 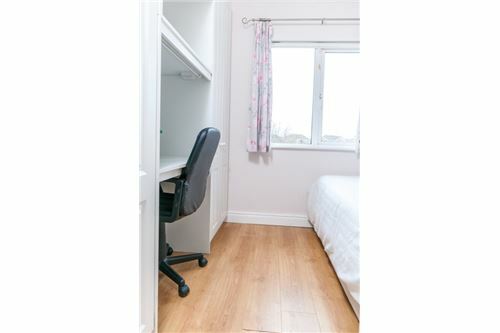 c. 8’6” x 8’0” Light fitting, fitted wardrobes, vanity unit with mirror, blind, curtains, wooden floor. 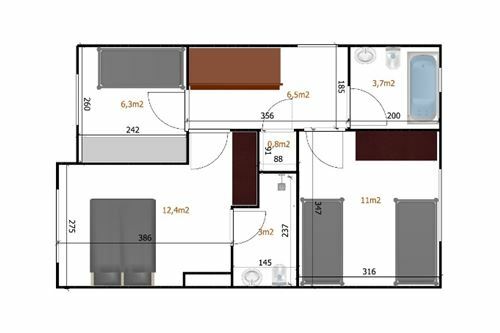 c. 7’0” x 6’0” Light fitting, recessed lighting, shaving light with socket, wall tiling, floor tiling, WC, WHB, electric Triton shower, bath.